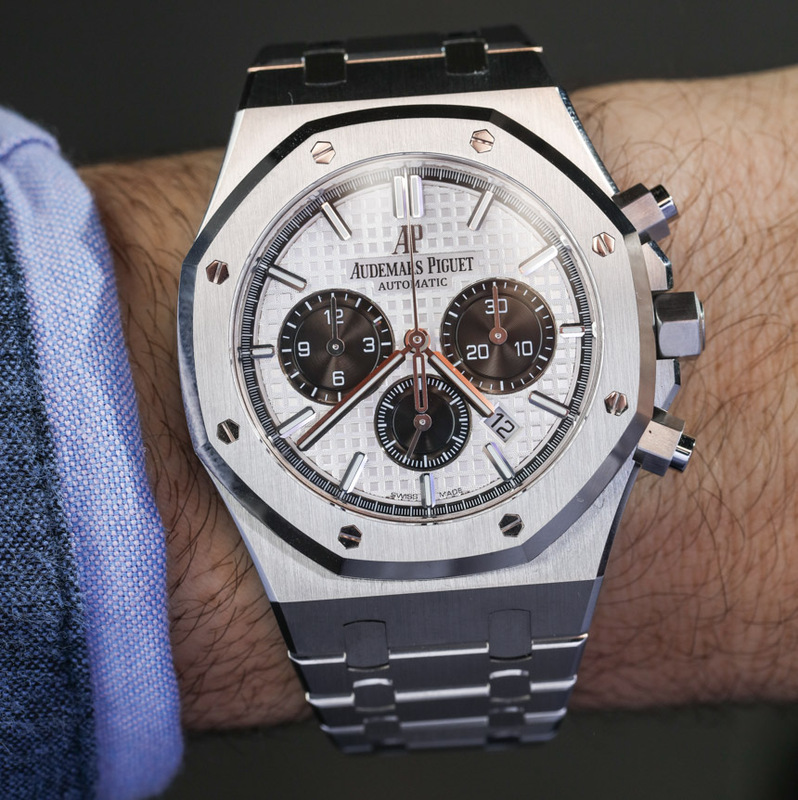 Let’s back up a bit though to SIHH earlier this year, when AP had not one, but a slew of new additions to the Royal Oak line – including the show-stopping Royal Oak Perpetual Calendar with a full ceramic bracelet. 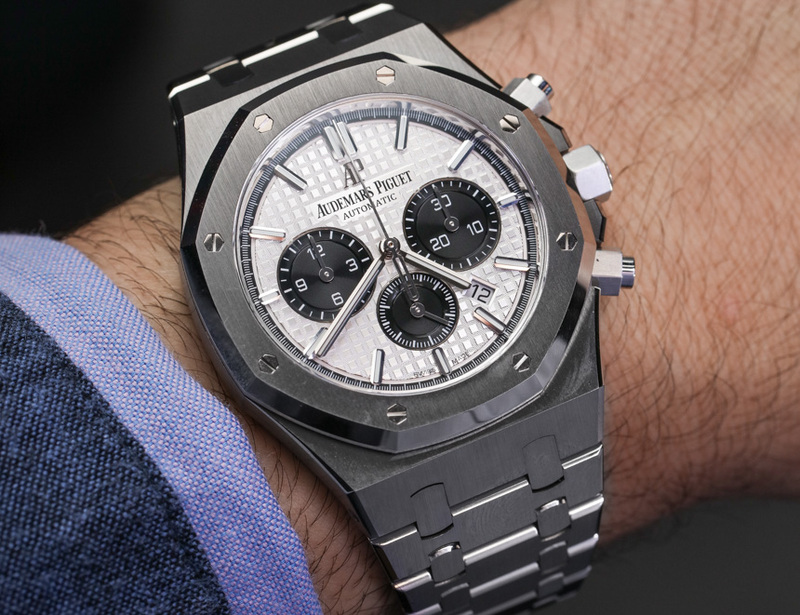 But there was a method to the Royal Oak madness this year, as the Gerald Genta-designed icon happens to be celebrating its 40th anniversary since being first introduced in precious metal, and its 20th anniversary since coming to life in three-register chronograph form in 1997. 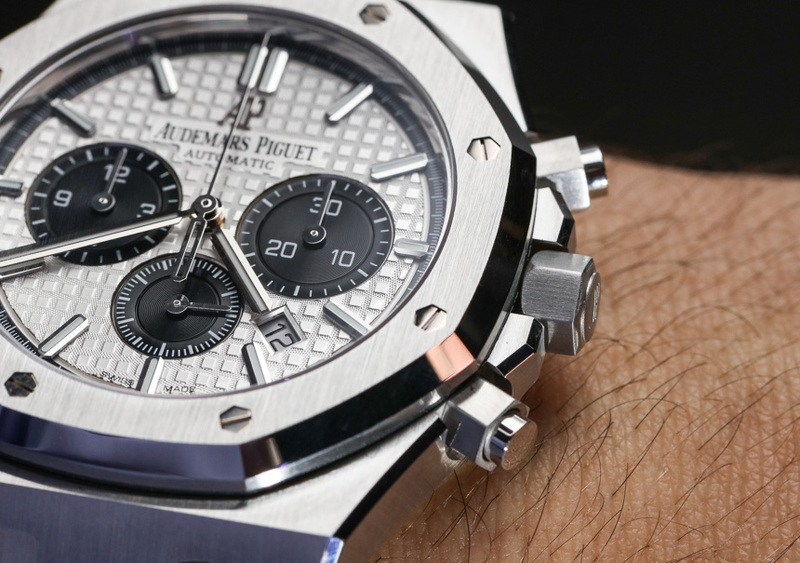 In its two decades of service, the Royal Oak chronograph has understandably seen a small number of iterations over the years (most recently back in 2012), but this time around, the edits in question are all about simplifying the dial, boosting contrast and returning to the visual aesthetic that made the Royal Oak Chronograph a winner with fans in the first place. 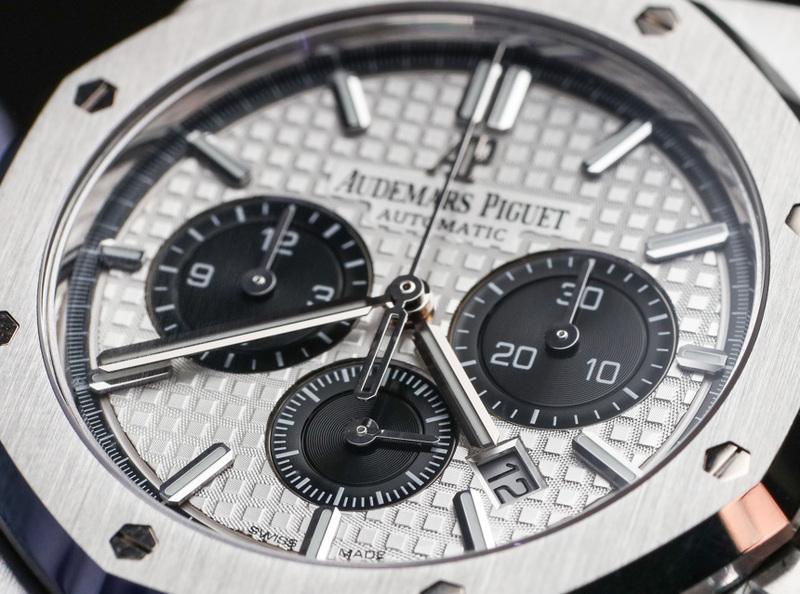 Most notably, this refers to 39mm references dating back to 2008 – at which time, homage was being paid to even earlier vintage Royal Oak references, making these new chronographs almost an homage to an homage, but that’s probably besides the point. 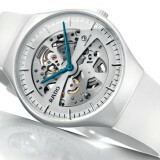 If you’ve already noted the new position of the date window, consider yourself among an extreme minority that noticed its subtle shift closer to the 5:00 index – a forced relocation as a result of the larger 3:00 sub-dial, and a further disruption to the overall symmetry (if the outgoing variant’s date window at 4:30 could ever be called ‘symmetrical’). 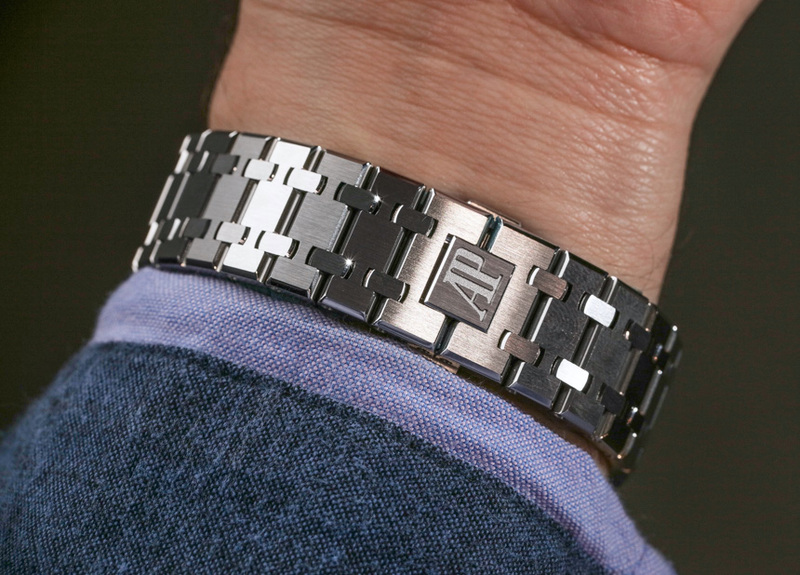 Thankfully though, it’s subtle at worst, and likely to go unnoticed by all but a few. 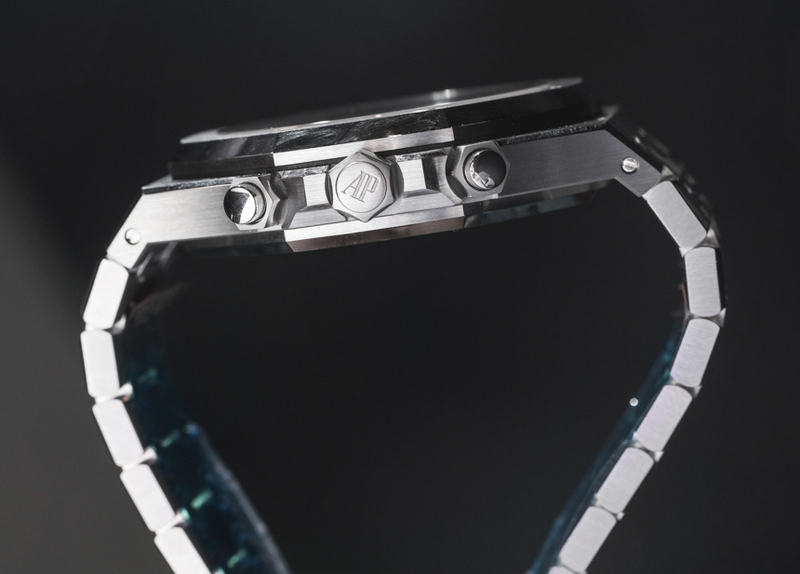 But speaking of that look, as expected, the cases themselves exhibit Audemars’ exemplary finishing (an eight-stage process which includes many hours of cutting, sandblasting, lapping, polishing, and varnishing), and are fitted with that “Grand Tapisserie” waffled dial, still cut using a century-old pantograph machine. 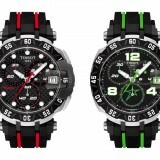 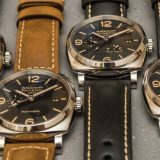 Now, unless you had them both together in the same room, on the wrist, the general aesthetic and wearing experience of the 2017 chronographs is consistent with the outgoing variants, which are a pleasure to wear. 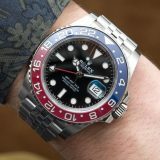 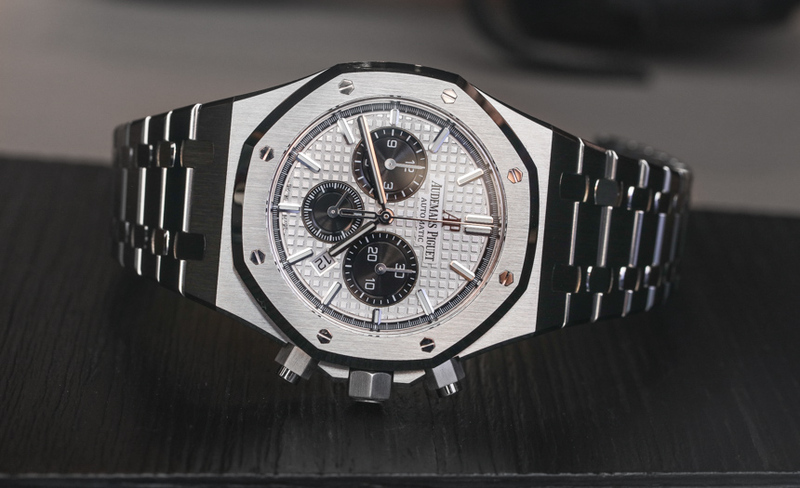 Ultimately, the most immediately noticeable change is the new ‘panda’ look, which is an undeniably excellent update, and one that should otherwise prove quite popular with Royal Oak fans new and old. 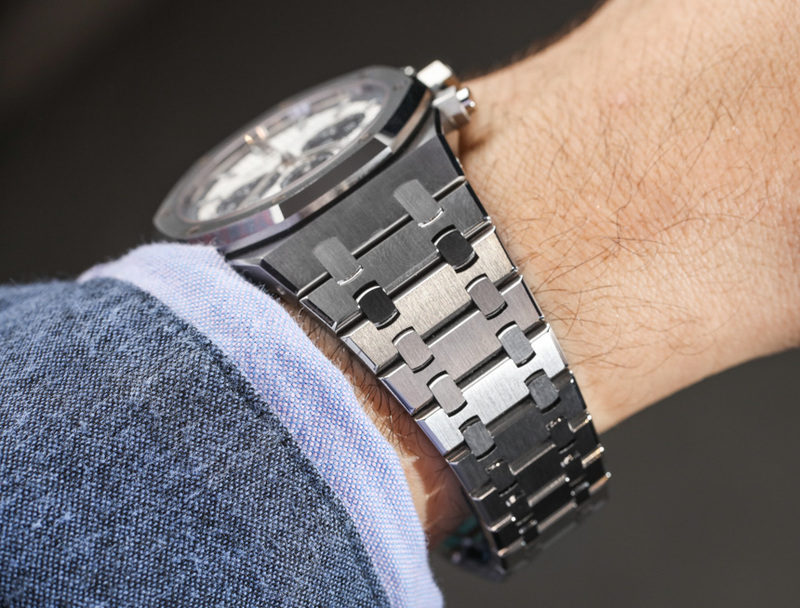 This is a wristwatch that’s so known to many of youpersonally, perhaps it doesn’t require much of an analysis — but this really is HODINKEE and you can believe you are gonna receive you. 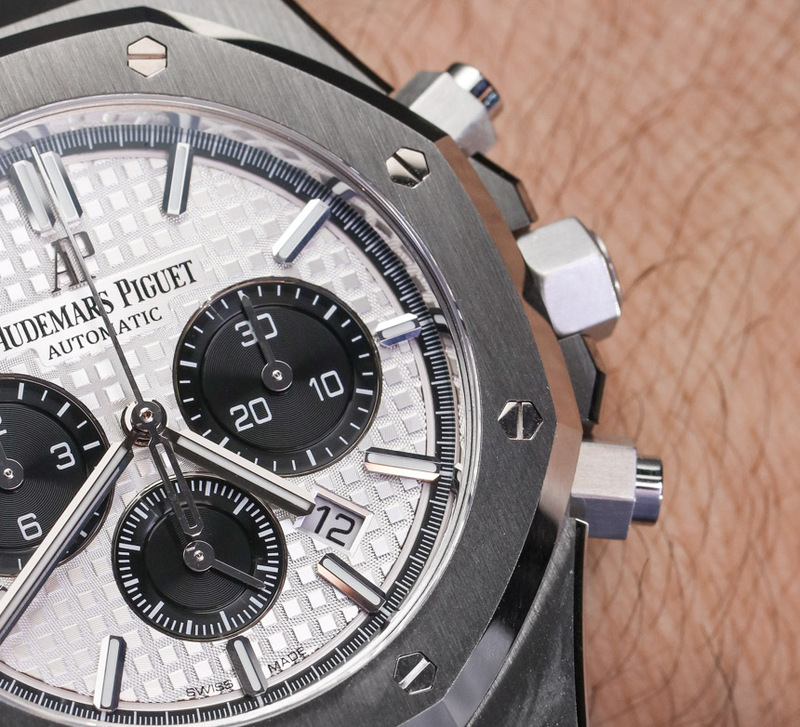 The Royal Oak Chronograph is a wristwatch that has thousands of fans all over the world, and a couple of detractors, too. 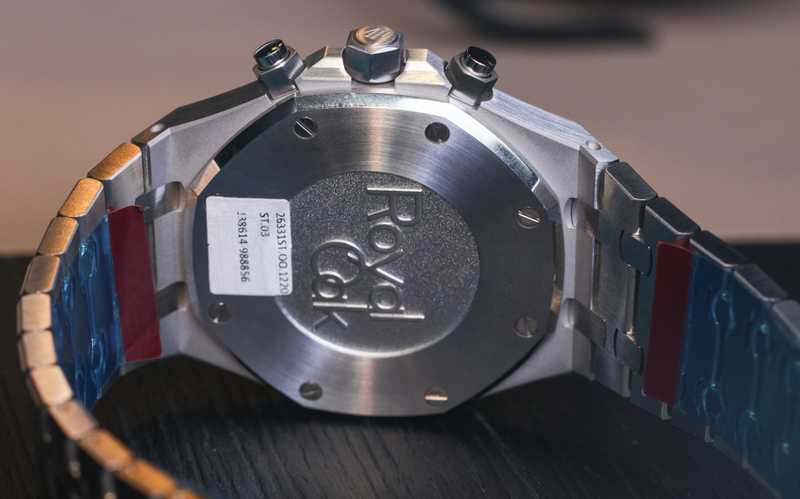 The Royal Oak and Royal Oak Offshore families frequently appeal to very different individuals, but I’ll get to that shortly. 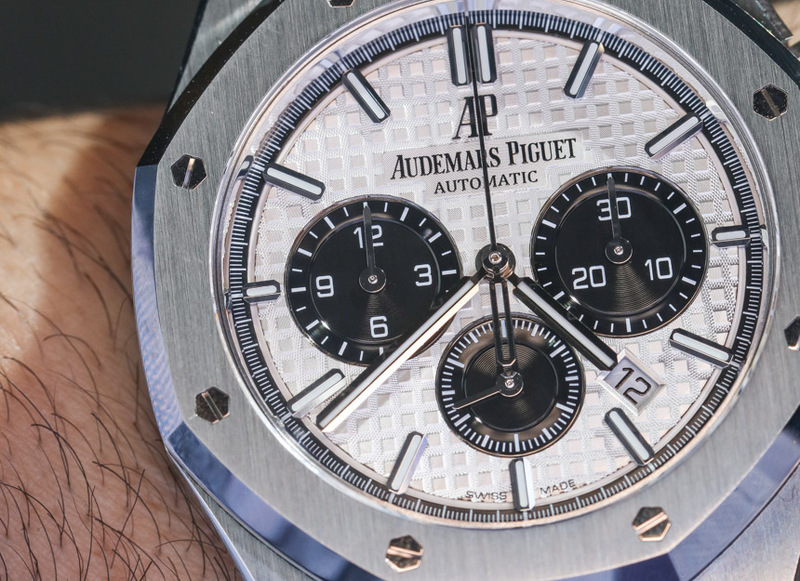 In this short article, I handle a mainstay at the AP lineup, and an interesting bit of haute horology, though one without its own in-house motion. 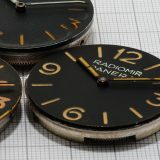 I will have a look at just how this 41mm column-wheel, vertical clutch chronograph wears, and if the matter of where the movement came from is even something worth noting in any way. 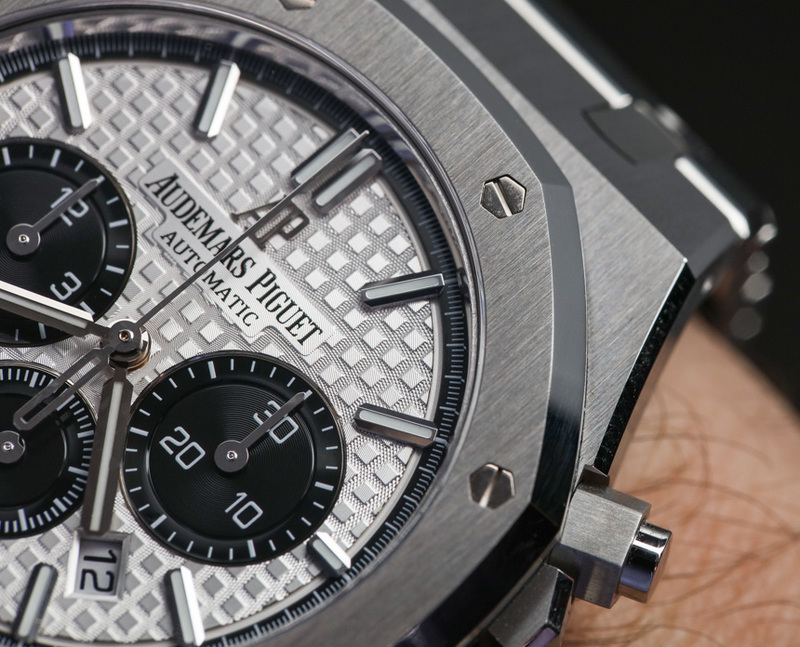 That is the HODINKEE Week On The Wrist with the Audemars Piguet Royal Oak Chronograph, and it’s one worth spending a while with.AP is a truly unique watch manufacture. 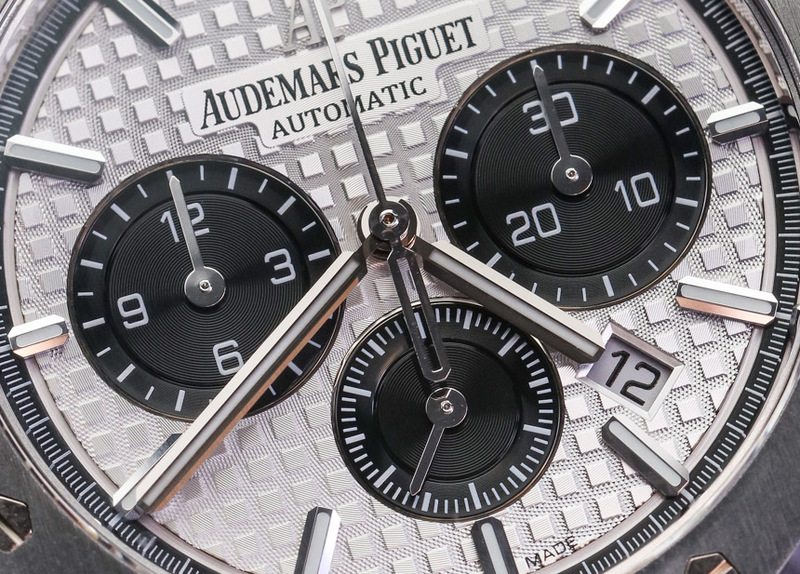 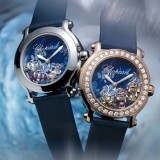 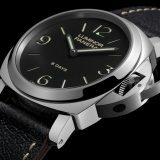 It’s among the few global haute horology brands that remains in the hands of its founding family, with several members of the Audemars family still sitting on its board. 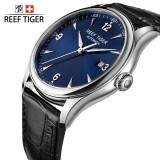 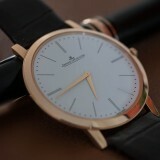 Consider the fact that Vacheron Constantin and A. Lange & Söhne are both owned by the Richemont Group (which owns everything from Cartier and Panerai into Alfred Dunhill, luggage maker Lancel, women’s clothing company Chloe, Purdey Guns, and Net-A-Porter), and Patek Philippe, while keeping its independence, was marketed to the Stern family less than 100 decades back. 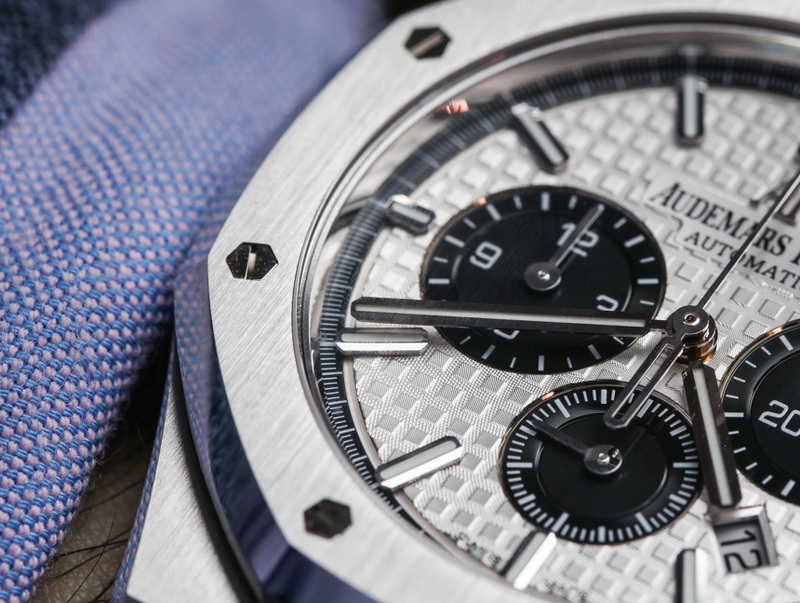 However, the ownership of AP is not necessarily the most interesting facet of the 175 year old manufacture — the question that matters is who purchases AP’s watches?